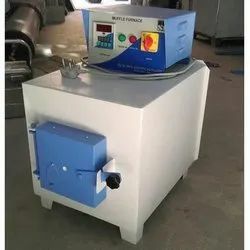 We are engaged in manufacturing a wide range of Muffle Furnace which is easy to install and simple to operate.Our Muffle Furnaces are widely demanded in petrochemical industry, research institutes, national laboratories, atomic energy, defence and public sector units. Industrial muffle furnaces are specially designed to suit IS & ASTM Standard. IT is applied in growing fields of Medical research, agricultural, industrial, metal treatment, ash determination & wool industries. We are the dependable Manufacturerand Supplier of Electric Muffle Furnace. Electric Muffle Furnaces are suitable for removing impurities from the product by heating at high temperatures. They are also used to find the ash content of the product, heating of metal parts and other applications of high temperature treatment. Muffle Furnaces has door with clamping arrangement. 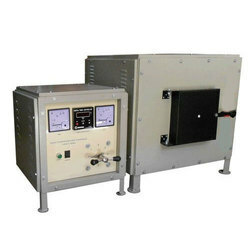 High-Temperature Muffle Furnace is specially designed to suit IS ASTM Standard. IT is applied in growing fields of Medical research, agricultural, industrial, metal treatment, ash determination wool industries. Ceramic fiber board refectory Cumilage bricks bottom with silicon carbide plate on the bottom to attain uniform temp. The door is hinged type easily be opened. The furnace is hosted with Silicon carbide rods 9pcs. High Temp. K –Type Thermocouple.